Some years back, I won a grant to participate in an Online course organized by ALCTS. 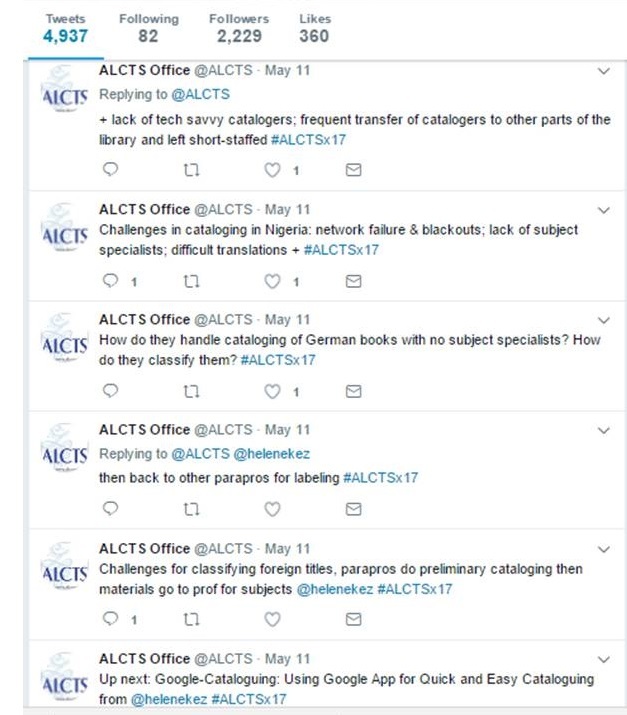 ALCTS stands for Association for Library Collections and Technical Services, a Division of the American Library Association. 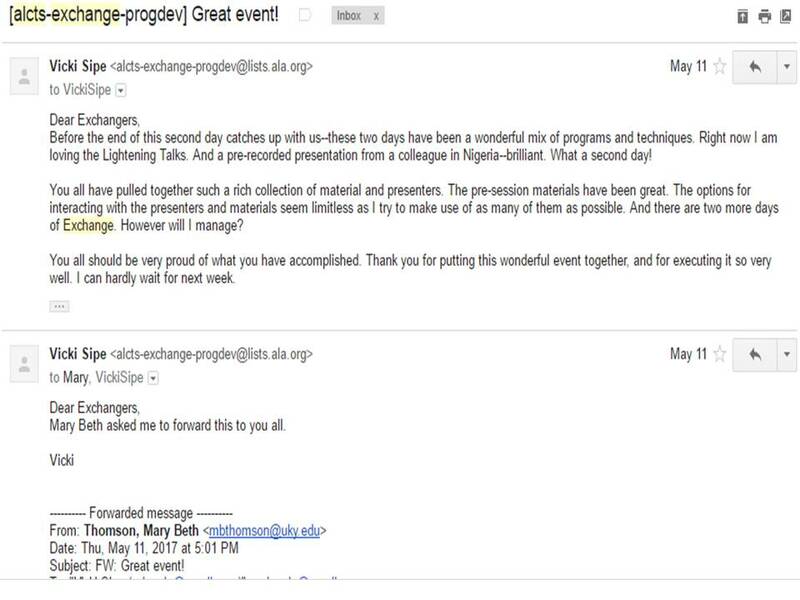 I had been participating in webinars as an attendee, but recently, I was accepted to develop a programme for the ALCTS Exchange event which held May 9 – May 18, 2017. It was not just a webinar, but an online event, like a conference, and it was a paid event. 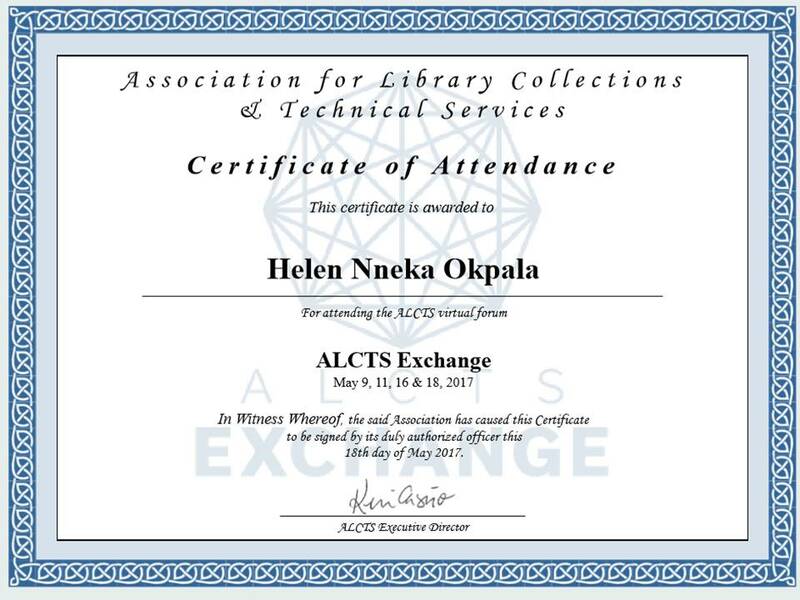 The ALCTS Exchange is a celebration of excellence at the intersections of libraries, collection management, acquisitions, metadata and cataloging, preservation, and technology. Details on the event can be found here. 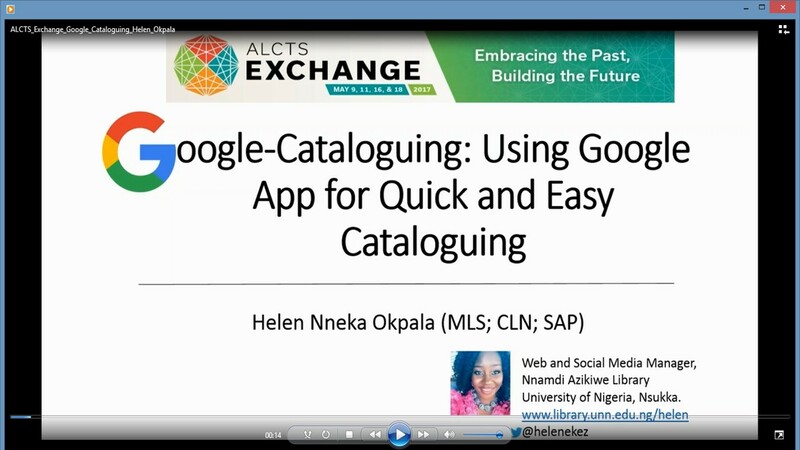 I developed a topic on ” Google-Cataloguing: Using Google App for Quick and Easy Cataloguing“. It was an interesting topic to the association and they quite appreciated my efforts in putting up the presentation for the live event. Who is a True Librarian?